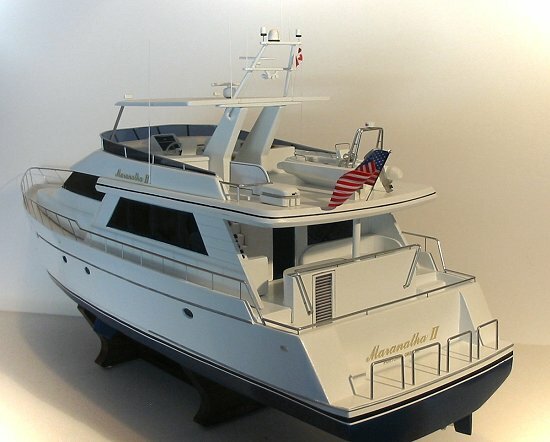 Stern view of the 'Maranatha II' showing how we build your specific yacht with your specific details. Notice that the American flag is flown and a small Canadian Maple Leaf is being flown of the mast. The handrails are also of the custom variety as per clients boat.